Etihad Modern Art Gallery, Abu Dhabi participated in the international art fair ‘Art Market Budapest’ in the autumn of 2016. 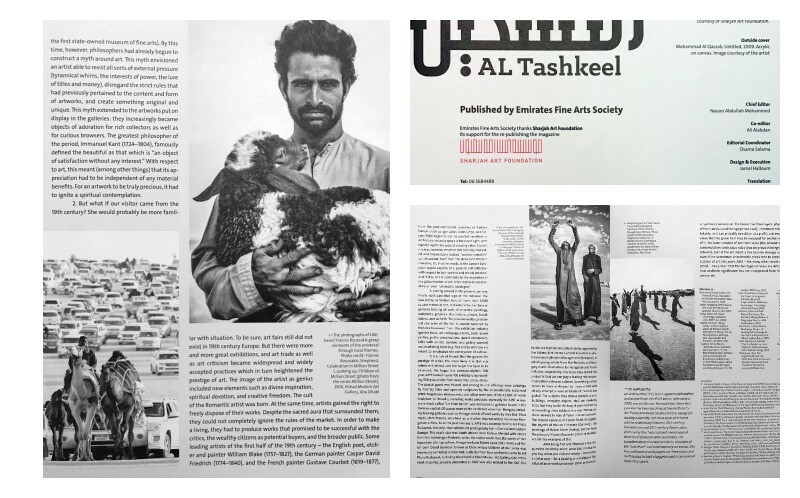 The latest issue of Al Tashkeel Magazine highlighted this promotion of Emirati art in an article (see photos below) written by Dr Judit Bartha. Dr. Bartha is a Hungarian philosopher, aesthetician and lecturer in Art Theory & Media Studies in the prestigious ELTE University in Budapest (which is acknowledged as Hungary’s equivalent of the Oxbridge universities, having opened in Budapest in 1635). 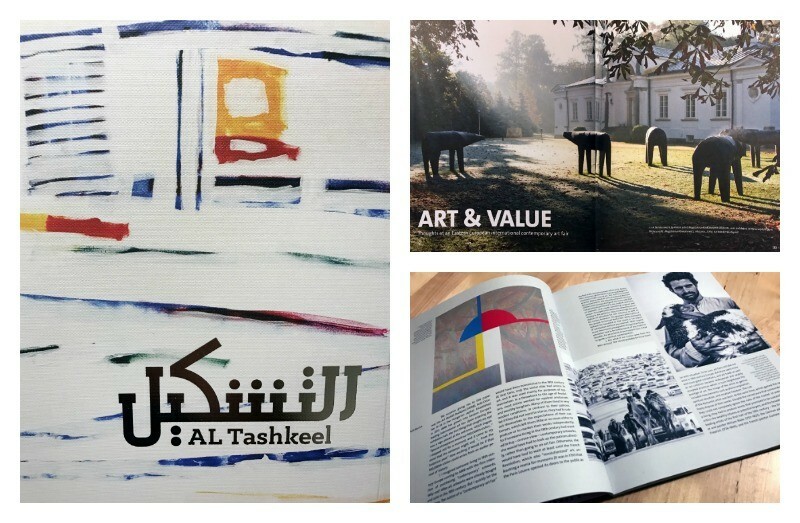 Al Tashkeel Magazine is published by The Emirates Fine Arts Society, and has been reporting on Arabic and global fine arts since 1984. The Emirates Fine Art Society is guardian of the UAE Art Archive and part of the esteemed Sharjah Art Foundation. The article, entitled ‘Art & Value: Thoughts at an Eastern European International Contemporary Art Fair’ described how Art Market Budapest is now Eastern Europe’s leading art fair. In October, the fair had 100 exhibitors, showing more than 500 artists from over 20 countries, spanning 4 continents. Dr Bartha gave special mention in her article for the work of one of the Etihad Modern Art Gallery (EMAG) affiliated artists, Yiannis Roussakis. She described him as one of the artists who successfully devise a fusion of the local with the global without falling into the trap of provincialism. As can be seen in the pictures, the socially-themed black and white photographic art of Abu Dhabi-based, Yiannis Roussakis is peppered throughout the article. There are 4 published pieces from EMAG’s 2016 solo show of his work, The Million Street which portrayed the essence of UAE culture and characters. Similarly impressive and thought-provoking images will be in Yiannis’ upcoming solo show at EMAG. Opening on Feb 6th, Songs for Everyone will again showcase the pensive and illuminating compositions emanating from the lens of Roussakis. In addition, due to popular demand, one room of the gallery will be dedicated to some of the most popular artwork from Yiannis’ last exhibition, The Million Street, so that visitors have the opportunity to view those great works, or even to purchase those pieces. The exhibition, showing in 6 rooms at EMAG will be open daily for viewing from 10am to 10pm, with the exception of the gallery being closed on Fridays. Final day for visitors will be on March 1st. To find out more, please see the Yiannis Roussakis artist page containing his biography and other works. You may also be interested in watching Yiannis in several interview videos on the EMAG YouTube channel here.